Home of the University of Michigan, Ann Arbor (population 120,000) brims with trendy bars and restaurants, cultural offerings, and picturesque nature trails and waterways—all just 45 miles from Detroit. Here’s our guide to a long weekend in Tree Town. Boutique check-in @ 3 p.m. 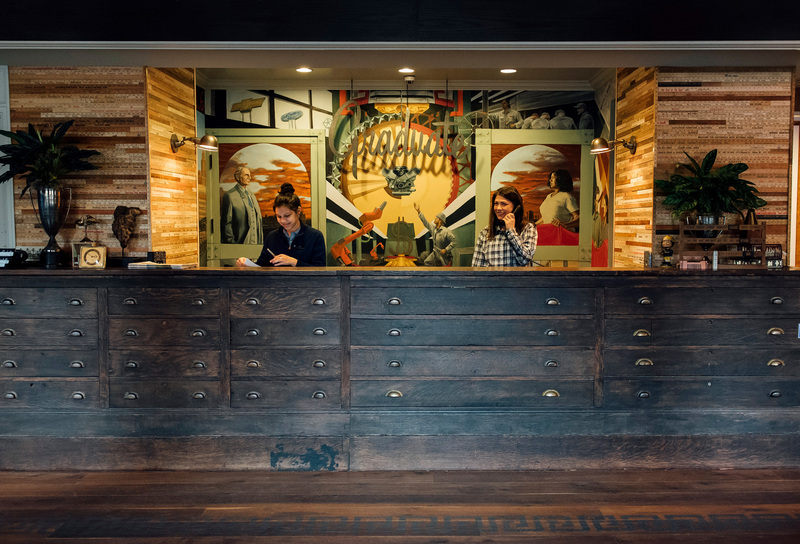 In the heart of downtown, The Graduate Ann Arbor, just like the city it calls home, perfectly combines collegiate spirit with sophisticated vibes. Grab a spot at the 40-foot communal table for some lively conversation–just like at college. 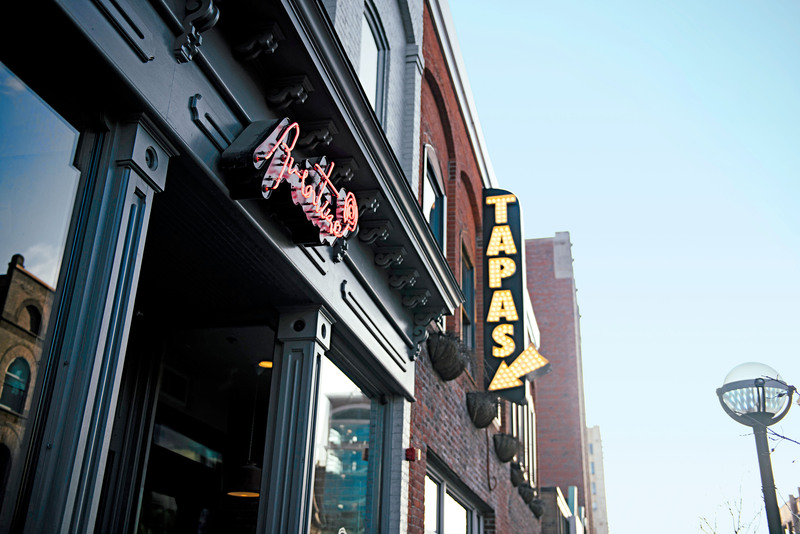 Gin and tapas @ 4 p.m.
Sip on a gin with homemade tonic at Spanish tapas hot spot Aventura. Happy hour runs from 3 to 6 p.m. Monday through Friday and features special prices on classic cocktails, sangria, beer, wine and tapas. Korean feast @ 6:30 p.m.
A part of the Zingerman’s Community of Businesses, Miss Kim specializes in Korean dishes feature Michigan seasonal products. Dishes such as Korean fried chicken and tteokbokki (rice cakes) go perfectly with the house-infused soju. 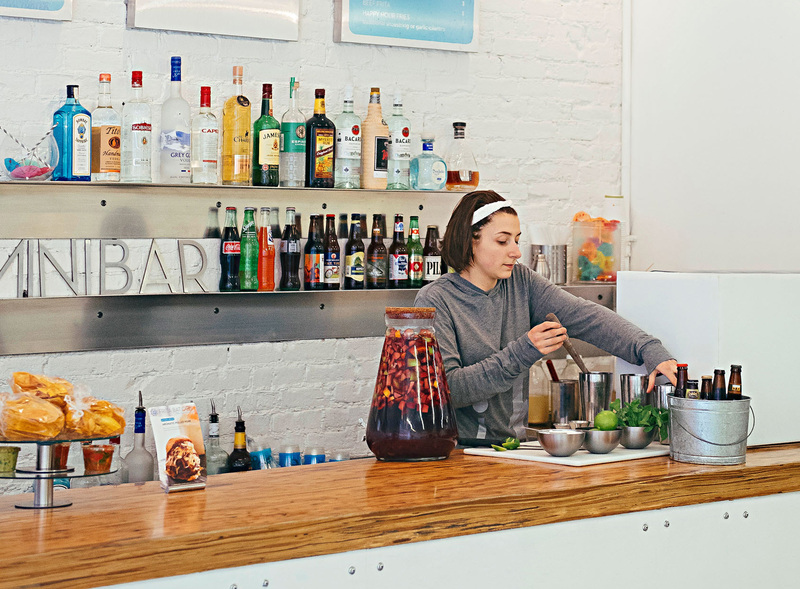 Chef and managing partner Ji Hye Kim started off with a food cart before branching out with the restaurant, located near the farmers market where she sources many of her ingredients. Live music @ 8 p.m. 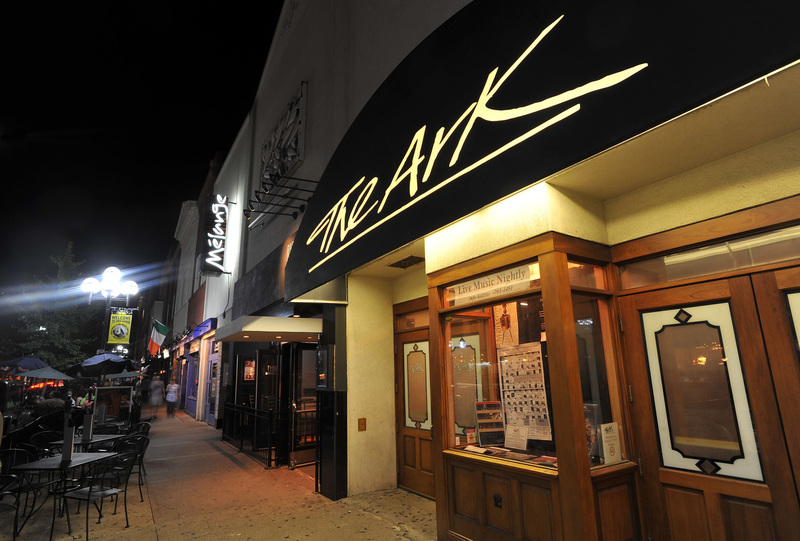 Folk music fans should head to The Ark, one of the top music clubs in the world. The 400-seat club hosts live folk and roots music more than 300 nights out of the year. Or check out Ann Arbor’s other legendary live music spot, The Blind Pig, for a mix of local talent and the occasional national act. 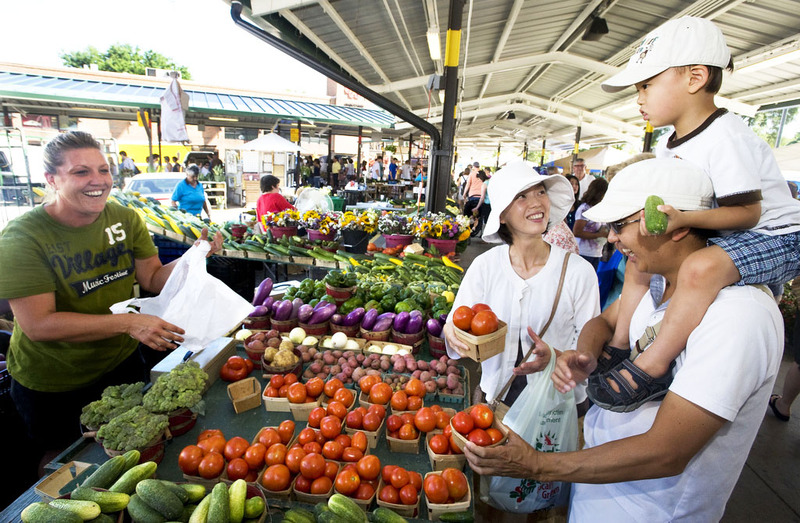 Early-bird market @ 7 a.m.
It’s worth rising early to browse among 150 vendors selling fruits, vegetables, plants, breads, flowers and cheeses at the year-round Ann Arbor Farmers Market. Grab a snack for when you go kayaking later in the morning. Fresh breakfast @ 9 a.m. Inspired by health cafes in California, the fast-casual Fred’s specializes in organic toasts, breakfast sandwiches and burritos. Playful twists refresh classic breakfast fare; think cauliflower tots or olive oil on ricotta toast. 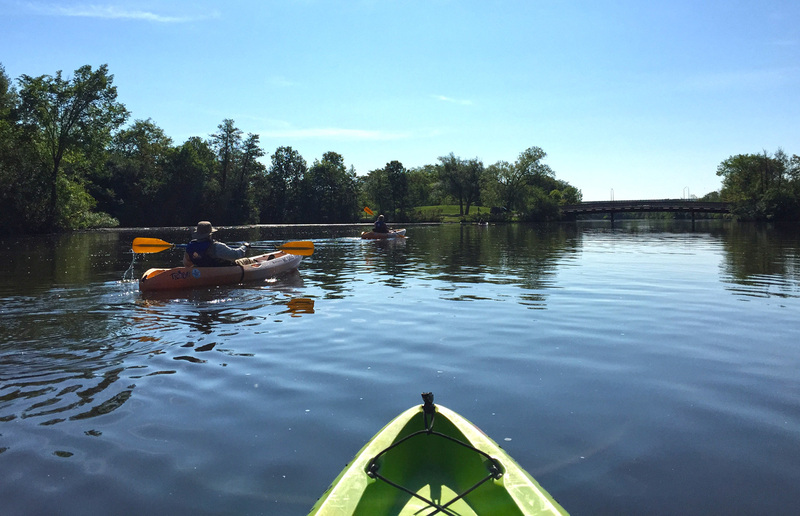 On the river @ 10:30 a.m.
Kayak, canoe, raft or tube the Huron River. The popular Argo to Gallup River trip clocks in at 3.7 miles and takes about an hour and a half. Slurp’s up @ 12:30 p.m. 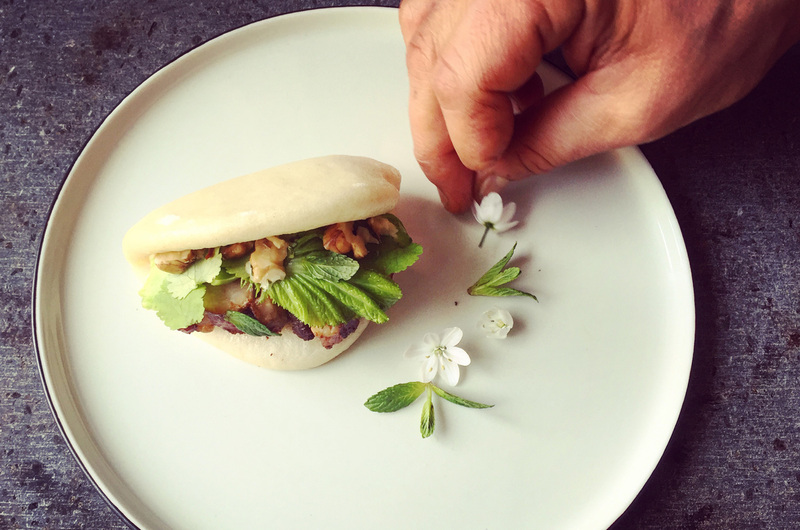 The Ann Arbor Slurping Turtle is the second Japanese comfort food restaurant from Michelin-starred celebrity chef Takashi Yagihashi (known for the gone-but-not-forgotten Tribute in suburban Detroit). Try a Red Miso Ramen with chicken, buttered corn and bamboo shoots or snack on duck fat fried chicken and pork belly bao. 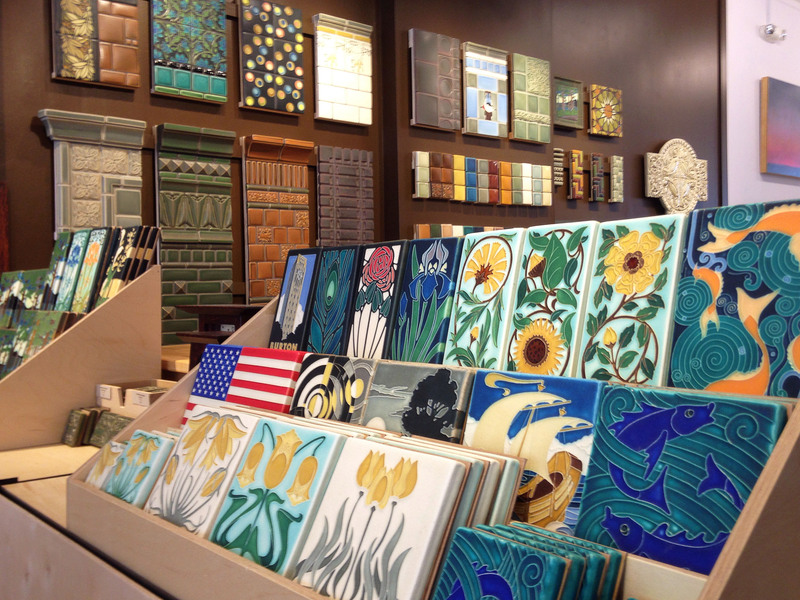 Retail therapy @ 2 p.m.
Start your shopping with an Ann Arbor classic: the Arts and Crafts-style tile designs of Motawi Tileworks, open until 3 p.m. on Saturdays. (If you visit during the week, tours of the Motawi production facility run on Tuesdays at 1 p.m. and Thursdays at 11 a.m.) Then drive downtown to walk around Main Street, State Street and Kerrytown; they’re all different, but they share this: almost no chain businesses. Shop vintage looks at independently owned shops such as Muse Atelier or Treasure Mart, or embrace your inner bookworm at Literati Bookstore. The Ann Arbor Art Center sells jewelry, paintings, prints and ceramics by area artists. 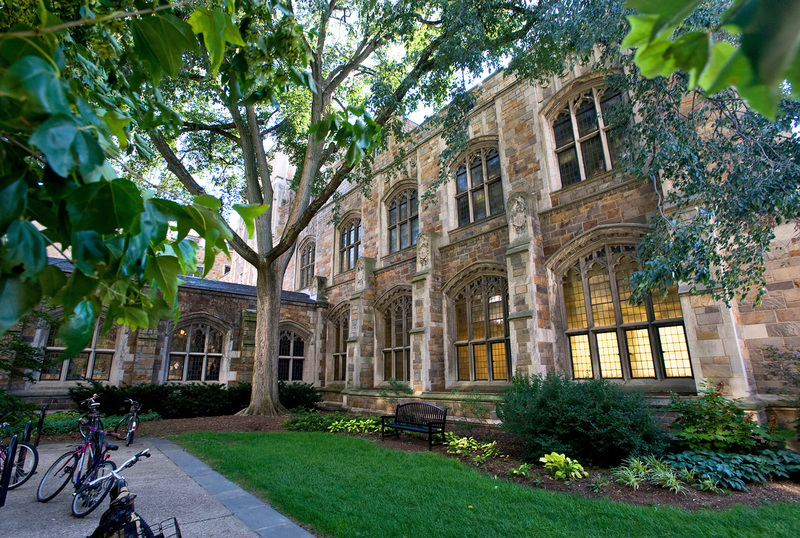 Take a stroll on the Quad @ 5 p.m.
Admire the Gothic-style buildings that have inspired several generations of lawyers at the University of Michigan's William W. Cook Law Quadrangle. One of the world’s best law libraries, the Allen F. and Alene Smith Library is renowned as an architectural gem. Beer me @ 6:30 p.m.
Microbreweries, pubs and bars make Ann Arbor a beer lover’s paradise. Sip a sour beer at Jolly Pumpkin or head to Bill’s Beer Garden during warmer months to enjoy a local craft beer. 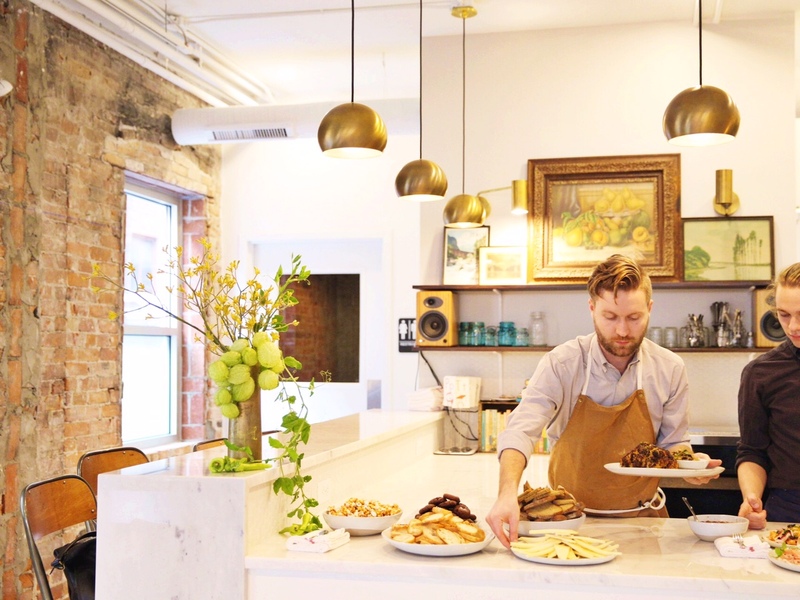 Wine and dine @ 7:30 p.m.
Spencer serves artfully plated farm-to-table meals in a casual setting with communal seating. The menu changes daily, but you’ll find fare such as whole rainbow trout with arugula, patty pan squash, goat’s eye beans and English peas. Helpful servers will steer you to the perfect glass of wine to accompany your dish. Catch a movie @ 9:30 p.m. 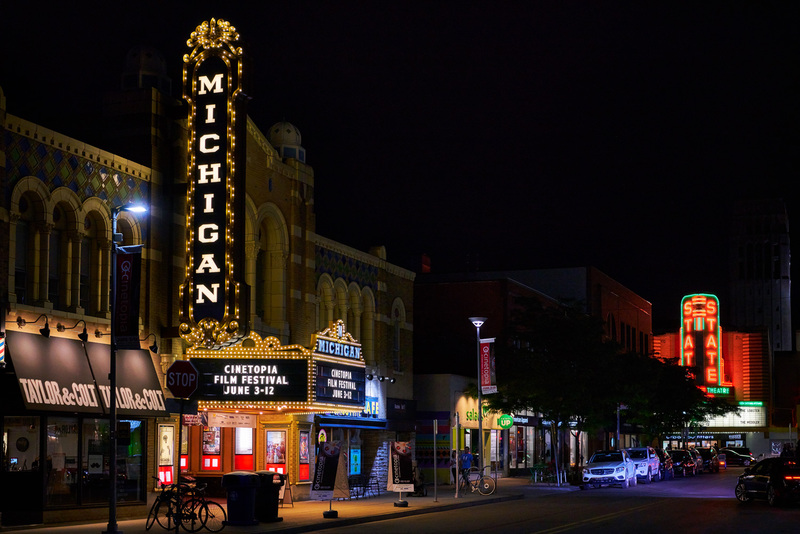 The elegantly restored 1928 Michigan Theater and 1942 State Theatre down the street offer an eclectic mix of movies such as cult favorites, indie art flicks and the latest blockbuster. Named for the French writer Emile Zola, Café Zola offers an eclectic brunch menu with dishes such as Turkish Eggs (oven-baked eggs with spinach, feta, tomatoes and olives) and Dutch Baby (puffed pancake with champagne mango and berries). Nature walk @ 9:30 a.m. Wander along trails through gardens and natural areas at the Matthaei Botanical Gardens and Nichols Arboretum (aka The Arb), both managed by the University of Michigan. 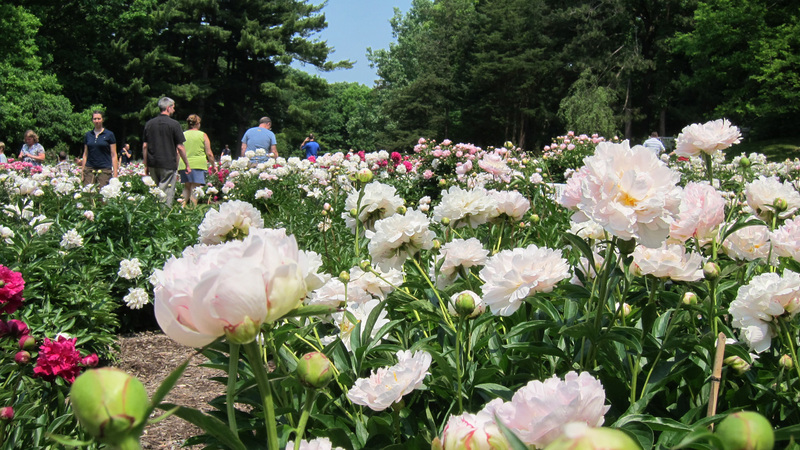 If you visit in late spring, don’t miss the arboretum’s peony garden, with 27 beds and more than 10,000 flowers when in full bloom. No surprise, fritas (seasoned patties) and batidos (tropical milkshakes) star at the Cuban-inspired Frita Batidos, helmed by Top Chef contestant Eve Aronoff. We love the chorizo fritas, but you’ll also find beef, black bean, chicken and fish versions, with toppings such as cilantro-lime salsa or a sunny-side-up egg. White picnic tables provide communal seating, and orders are taken cafeteria style. Art stop @ 1:30 p.m. The University of Michigan’s Museum of Art houses more than 18,000 works of art in its permanent collection. Highlights include Chinese paintings and Japanese and Chinese ceramics as well as with Tiffany architectural glass (all from the H.O. Havemeyer mansion in Manhattan).